Like chess, League of Legends is very much a mental game. It’s all about baiting your opponent into unfavorable circumstances, then coming out on top with a well-timed move. Like chess, League of Legends is very much a mental game. It’s all about baiting your opponent into unfavorable circumstances, then coming out on top with a well-timed move. Since it’s such a rigorous psychological strain, playing competitive League certainly takes its toll on your body and mental state. Team Curse’s Piglet has even claimed to have lost over ten kilograms (around 22 lbs) during his professional career. However, more important than the physical impact is the sheer importance of staying mentally healthy. 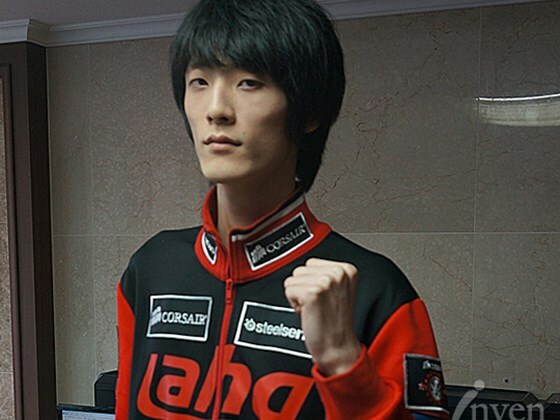 In March of 2013, AHQ Korea’s Cheon “Promise” Min-ki was a figurative ticking time bomb of mental problems. The pro gamer grew up in a broken home, where at age 15, his father left him and his family. In an interview with Paravine, he revealed that he had attempted suicide multiple times before his career in League, but never had the courage to go through with it. “I realized killing myself is less of a pain than living on with my current life,” Promise stated. Despite the warning signs of suicidal tendencies, the young man decided to take his passion to the next level and join AHQ Korea. Even though they held the name and uniforms, it was not revealed until much later that Promise’s team had never actually been funded by their own Taiwanese organization. Team Manager Noh Dae Chul abused his power and started to fix his team’s matches from the start, gambling on the games and winning fortunes in Korean Won (?). Already in an extremely fragile mental state, Promise was unknowingly slipping towards a ledge that he couldn’t escape from. Threatened with the fallacy of not being able to qualify for the OGN Playoffs, AHQ was bullied by their manager into settling for a 0-4 record in OGN Spring. The players had been questioning the match fixing for months now, but were constantly silenced by Noh. This kind of management, known as an absolute monarchy in political terms, sped up the rapid decline in both Noh Dae Chul and Promise. One of the most common symptoms in suicidal patients is tunnel vision, or the sense that there’s nowhere left to go but forward. It is likely that Noh felt this just as equally as Promise, as he was forced to keep lying to his team and fixing matches to dig himself out of a financial crisis. In other words, AHQ was grasping for a strand that could snap at any second. By the middle of spring, the truth about Noh Dae Chul was revealed. His Korean squad stood together in solidarity, refusing to play for AHQ anymore. In one last act of desperation, Noh urged his team to leave their gaming house, after allegedly selling three of their practice computers. Citing that AHQ’s Taiwan-based corporate office was “demanding money from the team”, the manager packed his bags and attempted to flee in order to escape punishment from the Korean eSports Association. Even though legal action was filed against Noh Dae Chul, the damage had been done, and Promise was left with nothing to live for. Frequently using alarming phrases like “in my next life”, and “I won’t be of this world” online, the Korean ADC was all but destined to take his own life. After leaving a brief suicide note on his Facebook page, Promise flung himself from a building, falling twelve whole stories before crashing through the roof of a recycling center. Though he lived the initial fall, the Korean was not expected to survive much longer due to horrific injuries on his face and neck. Promise woke up at some point before he was found by one of the building’s residents, and reportedly slipped in and out of consciousness before going into an 11-hour emergency surgery. Though his recovery time was an estimated four months, Promise (now “Fimir”) made a surprising return to normal within eight weeks. Promise now lives a better life, with no remaining suicidal thoughts after that fateful jump. Admitting that he realized that “life is busy enough just looking at the bright side” after he had made the plunge, the 18 year-old is looking forward to a future career in League of Legends. Even though he has been inactive for nearly two years now, and looks doubtful to return, we can all learn a thing or two from Promise’s incredible story. Nicolas “Gleeb” Haddad joined Team Solo Mid in May of 2014, filling the giant shoes that Xpecial left in his wake. “Yeah, I think there was a lot of pressure. He’s been one of the best Supports in the League scene since the beginning, so there was definitely a lot of pressure in performing and living up to those expectations,” Gleeb stated about Xpecial, in an interview with GoldPer10’s Ryan Tang. The young Support player had been diagnosed with Type I Bipolar disorder, meaning that he was prone to having frequent manic episodes. According to everydayhealth.com, some of the most common triggers for a manic episode are extreme stress, sleep deprivation, and “blow-out arguments”. In a post on Facebook, Gleeb himself admitted to losing sleep during his stay at the TSM house. While the California native’s biggest critic was clearly himself, he had plenty of other opinions to worry about. For nearly three years now, TSM has boasted a legion of cut-throat, unforgiving fans that are more than ready to heavily criticize their favorite team. The stakes were all too high for Gleeb, who had to play near-flawlessly at the professional level in order to avoid being torn apart by his own team’s rabid supporters. Unable to handle the immense pressure, Gleeb cracked over and over again in the Summer Split. TSM was able to hold onto a mediocre 13-9 record with him on the team, but their chances of attending the World Championship seemed to be fading with each week. It seemed like Gleeb’s symptoms became worse, as he was criticized more and more. Even though he was managing a winning record, Gleeb had the misfortune of playing for a team that wouldn’t accept anything but the best. On July 22nd, TSM’s manager Andy Dinh announced that his team would be importing Korea’s Ham “Lustboy” Jang-sik to take the Support position. Gleeb split ways with his team shortly after, floating around in free agency for a few months before being signed by Team Fusion Gaming. Joined by a number of veteran players like Maknoon, Nintendude, HuHi, and Nientonsoh, Gleeb and his team have become a front runner for the North American Expansion Tournament. Though the future looks bright for Gleeb, he will still remain as an example of how mental instability can affect a player and a team alike. Both of the players that I have spoken about in this article represent two different ways to handle an issue with mental health. While Gleeb was able to handle his situation and condition quite well, Promise’s suicidal tendencies nearly cost him his own life. Though the level of severity between these stories differs greatly, the emphasis should remain the same. If you have a psychological condition, I highly advise you to think before undertaking a high-stress career. Thank you so much for reading! If you were browsing Reddit sometime this week, then you probably know that this article was inspired by feedback I received. I’d like to give a major “Thank You” to everyone out there that appreciates my work!